German journalist Mesale Tolu, who faces terror charges in Turkey, arrived back home Sunday but warned that "nothing has changed" about Turkey's human rights situation even after she was unexpectedly allowed to leave the country. Tolu, of Turkish origin, spent months in pre-trial detention in Istanbul before being conditionally released in December. But her travel ban was only recently lifted amid a thaw in relations between Ankara and Berlin. 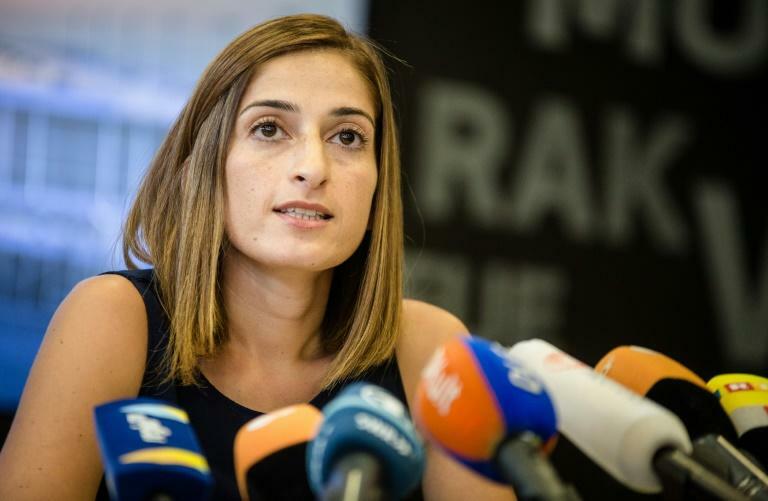 "I can't really be happy about being able to leave, because I know that nothing has changed in the country where I was locked up," the 34-year-old told a news conference after landing at Stuttgart airport. "I don't think that anything has changed in the country in the direction of democratisation," she added. Tens of thousands of "colleagues, opposition figures, lawyers and students" remain behind bars, she noted, caught up in a mass crackdown following a failed 2016 coup against President Recep Tayyip Erdogan. Tolu herself was arrested in late April 2017 on charges of membership of the Marxist-Leninist Communist Party (MLKP), which is banned in Turkey as a terror organisation. She was held in an Istanbul prison for nearly eight months, with her now three-year-old son staying with her for most of that time. Tolu's trial will continue in her absence. The next hearing is scheduled for October 16. Tolu, who denies the charges against her, faces up to 15 years in prison if convicted. Her husband Suat Corlu faces similar charges and is still barred from leaving Turkey. German Foreign Minister Heiko Maas hailed the lifting of Tolu's overseas travel ban as "a step forward in improving our relationship with Turkey". Tolu's return to Germany comes as the two countries are working to normalise relations following a series of spats. Berlin had in particular sharply criticised Ankara's human rights record in the wake of the post-coup crackdown. But tensions have eased this year after Turkey released several German-Turkish nationals, including well-known journalist Deniz Yucel. Erdogan has also struck a softer tone towards Europe in recent weeks as his feud with US President Donald Trump over the detention of an American pastor escalates, triggering a bitter trade row between the two NATO members. Erdogan is due to travel to Germany for a state visit on September 28-29, his first since becoming president in 2014.